Ok. As you can tell in my Blog I love food. Most all foods for me are yummy. This morning after I took Teli for her morning walk and was settling down to work a bit I heard from the street “Cereza, cereza” as the vendor was pushing his cart down the street. I wanted some of this yummy fruit. So I yelled out the window down three floors for him to wait. I grabbed my cash and bounded…well not bounded but walk briskly…down the stairs. I heard Teli barking her “where are you mommy” bark because I didn’t even tell her I was going out and I didn’t say goodbye. But I had no time to mess around. The vendor awaited. So I got his large tin can full two times. $30 pesos per can. Then I was back up the steps with my loot. Teli was at the door greeting me like I had been gone for hours instead of minutes. I love my dog. Cerezas for me taste like a mix between a cherry and cranberry. Tart and sweet. 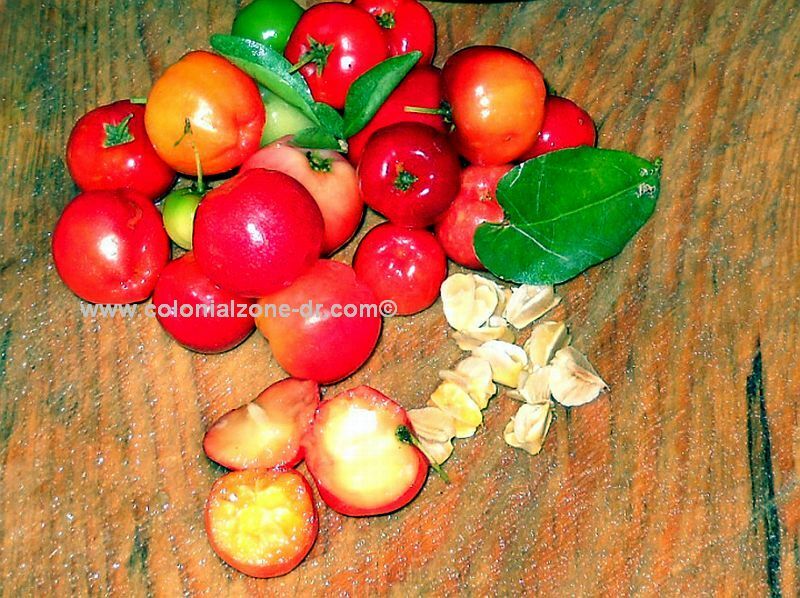 They are high in in ascorbic acid and have the highest vitamin C content among all the cultivated fruits. Here people drink the juice when they have a cold or sickness. I made me some juice and am now enjoying munching on the fruit. Teli will not eat it which is good. More for me! Isn’t it just too beautiful? Just a Story cereza, cerezas, cherry, cranberry, eat, fruit, vitamin c. permalink. 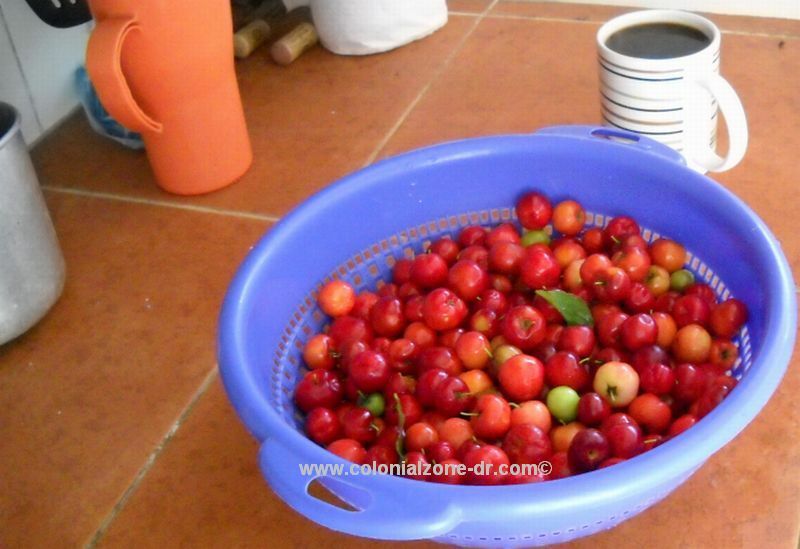 I read somewhere that the other name for cereza is acerola cherry… hope that helps! I have no idea where in USA to get these. I never saw them before I came to DR. Maybe one of the Dominican communities in NY. Good luck.